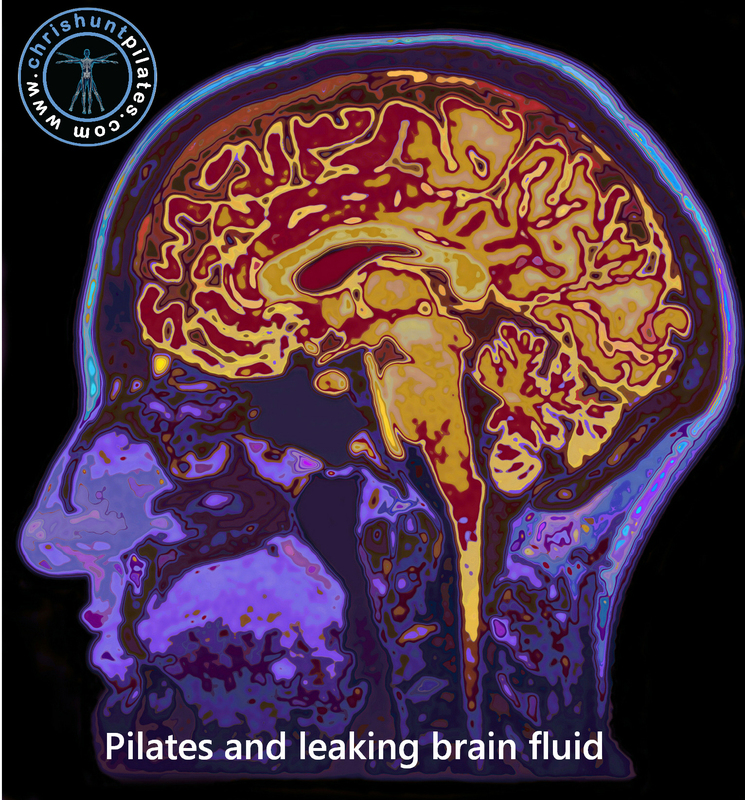 “Pilates may cause a muscle cramp or other sports injury, but what about a leak of brain or spinal fluid? Doctors in England believe that is exactly what happened….. A woman was suffering from persistent headaches before doctors finally discovered a cerebrospinal fluid leak in her spine which caused the pain unless she was lying down. Normally, such a leak can be caused by surgery, an accident or even high pressure in the skull, but this time, according to researchers at The Journal of Medical Case Reports, said it may have been caused by her Pilates class, in which participants stretch and do resistance exercises on a platform with straps and ropes. The woman said she felt a strange pop in her neck but showed no visible signs of injury. An hour later, however, she started getting a headache that went away only when she lay down. Her doctor diagnosed a neck muscle injury and prescribed medication to relieve the pain. But the headaches got worse. Finally, after a month of doctors’ visits, scans showed fluid gathering outside of the spine and a tear in the lining of her spinal cord. After two weeks of treatment that included bed rest, anti-inflammatory medication like ibuprofen and caffeinated beverages, the woman recovered”. I like to keep my blog posts varied, including some more frivolous posts every now and then. But today’s post is serious. What concerns me is that whilst rational people know and understand that such reporting reflects a tiny minority of cases, the danger is that such reporting can damage the reputation of Pilates in the longer term. My question to you today is apart from the recent stories, have you any experience at all of any similar cases?